She'll risk everything to bring her cowboy back home...One week ago, Cyrus Cahill told Ashley Jo "AJ" Somerfield that he'd be back in her arms by the weekend. 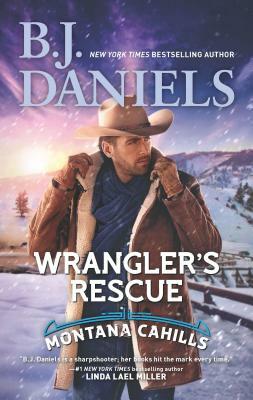 He just needed to buy a bull for his ranch, and then they'd pick up where they left off after that romantic ride through the foothills. But now he's gone missing and everyone--even the sheriff--believes he's dead. Everyone...but AJ. She suspects foul play and she won't rest until Cyrus is back home in Gilt Edge, right where he belongs. Because Cyrus isn't the kind of cowboy who breaks a promise. And since she's not the kind of woman who gives up on her man, AJ will risk anything to help bring him home...even her own life. Don't miss this suspenseful conclusion of The Montana Cahills series from New York Times bestselling author B.J. Daniels.